SOUTHEAST MICHIGAN PEREGRINE FALCON SITES - September 2017: Click Here for a printable summary. You can contact Chris and Barb by e-mail at peregrine_notes@yahoo.com. Below are some photos from Barb Baldinger to accompany the report. Visit our 2016 Peregrine Page. Visit our 2015 Peregrine Page. Visit our 2014 Peregrine Page. Visit our 2013 Peregrine Page. Visit our 2012 Peregrine Page. Visit our 2011 Peregrine Page. Visit our 2010 Peregrine Page. Visit our 2009 Peregrine Page. Visit our 2008 Peregrine Page. Visit our 2007 Peregrine Page. Visit our 2006 Peregrine Page. Visit our 2005 Peregrine Page. Visit our 2004 Peregrine Page. Visit our 2003 Peregrine Page. 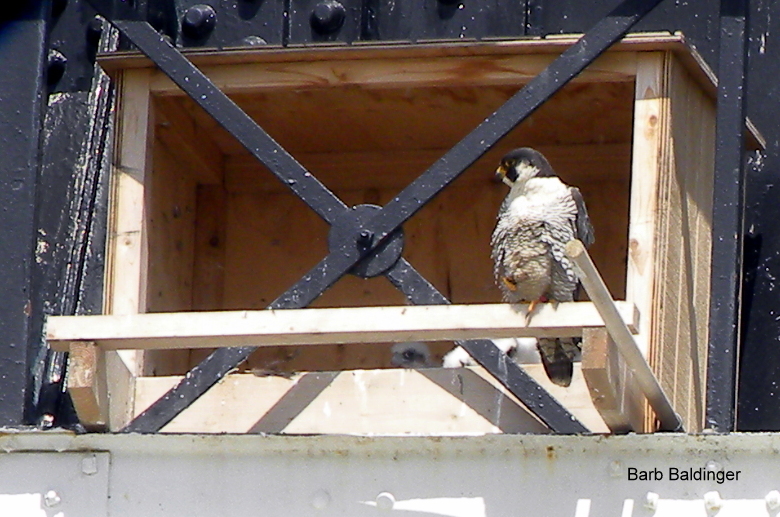 If you have any Peregrine sightings, please send them to peregrine_notes@yahoo.com.